Our aim is to have class sizes no bigger than 20 in all subjects – indeed many of our classes are much smaller than this. We believe that the intimacy and closeness between pupil and teacher generated by this small class size is of the utmost importance in facilitating teaching and learning of the highest quality. Our teachers know every pupil on an individual basis and, together with the pupils, teachers strive for the goal of academic excellence for every child. A certain number of subjects must be studied by all pupils. These are English, Maths, Science (Single/Double Award), Religious Education, Physical Education, Personal Development and Careers. In addition, we also offer a wide range of GCSE and other courses including Agriculture & Land Use, Art & Design, Business Studies, Digital Technology, English Literature, French, Further Maths, Geography, History, Home Economics, LLW, Music, MVRUS, Technology & Design, Essential Skills Communication and Essential Skills Application of Number. We are delighted to be able to offer a much wider range of subjects that we believe caters for the needs of all our pupils. 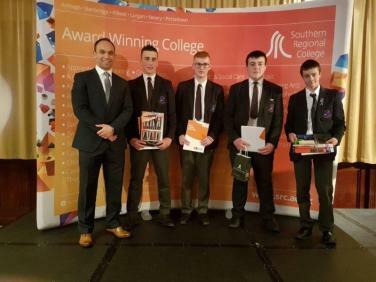 This increased provision has been achieved through collaboration with Southern Regional College (Newry campus), St. Pauls' High School Bessbrook, Newry High School and St. Joseph's High School Crossmaglen. The Vocational Enhancement Programme (VEP) offered by SRC is delivered through the Occupational Studies course, with students choosing 2 units in Year 11 and 2 further units in Year 12. 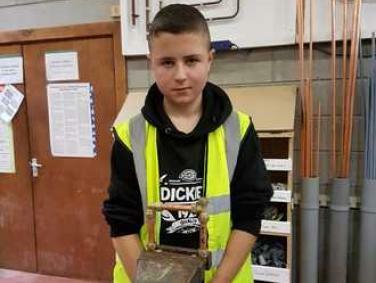 Pupils who are successful on this course can achieve a Level 2 in their two units which will be counted by the Construction Industry Training Board (CITB) and FE colleges as being equivalent to 2 GCSEs at grade A*-C. This choice would not be suitable for those who wish to study A-level Science. Since September 2010, pupils from Newtownhamilton High School have had the opportunity to study B.Tech First Certificates in collaboration with SRC and St. Paul's High School Bessbrook. This exciting programme offers pupils the chance to study for qualifications in Sport Performance & Excellence and Children’s Play Learning & Development (CPLD). B.Tech First Certificates are equivalent up to two GCSE passes at A*-C grades.